This chapter considers how we experience Low and how the sense we make of it is haunted by the historical tripartition of composer/performer/listener, figures which territorialize and marshal music. 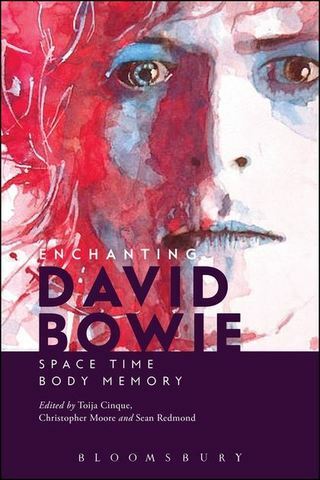 In the artwork to Low, this hierarchy has collapsed into the virtual figure of Bowie-Newton, a superimposed spectre which threatens both to materialize each discreet monadic position and dissolve them into a nomadic force, one that’s visuality confounds the ‘listening ear’, that legacy of music training and writing. To subvert these figures and uproot the essentialist representational doxa on which they depend, I turn to Deleuze and concepts amenable to experiencing the album as a sense-flow, one that connects and confuses sense and through which Bowie’s ear becomes a shell from a strange beach: we place it to our ears to be invited inside-out, to become as a sound-body assemblage.